Win a FREE copy of 'Star Phoenix' on Steam! Win a FREE copy of 'Star Phoenix' on Steam! 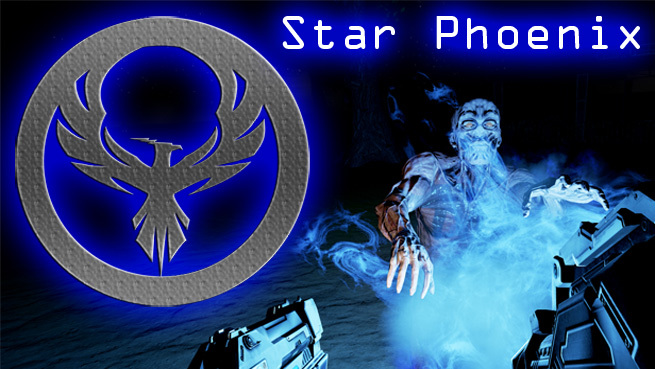 Win a FREE copy of 'Star Phoenix' on Steam! Every day this week 2 lucky people will win a key for 'Star Phoenix' on Steam! 1. The promoter of the contest is UploadVR. 2. Employees of UploadVR or their family members or anyone else connected in any way with the competition or helping to set up the competition shall not be permitted to enter the competition. 4. The approximate prize value is $29.99. 5. Contest begins on February 13, 2016 and ends on February 19, 2016. After this date there are no further entries permitted to the competition. The promoter reserves the right to change the beginning or end date. UploadVR Presents: The Weekly Steam Code Giveaway! Every day this week we will give away 2 FREE copies of the featured title. This week you can win a FREE copy of 'Star Phoenix'!